Brass safe plate – Withy Grove Stores Ltd. Image courtesy J. Shaw. 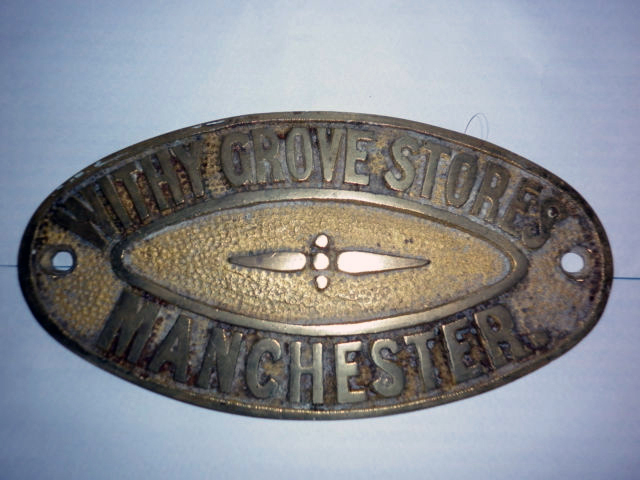 This is a cast brass plate made by Withy Grove Stores, which is based at 35-39 Withy Grove, Manchester. George Price’s Safe, Lock & Engineering Company Ltd., Wolverhampton. © Wolverhampton Archives& Local Studies. 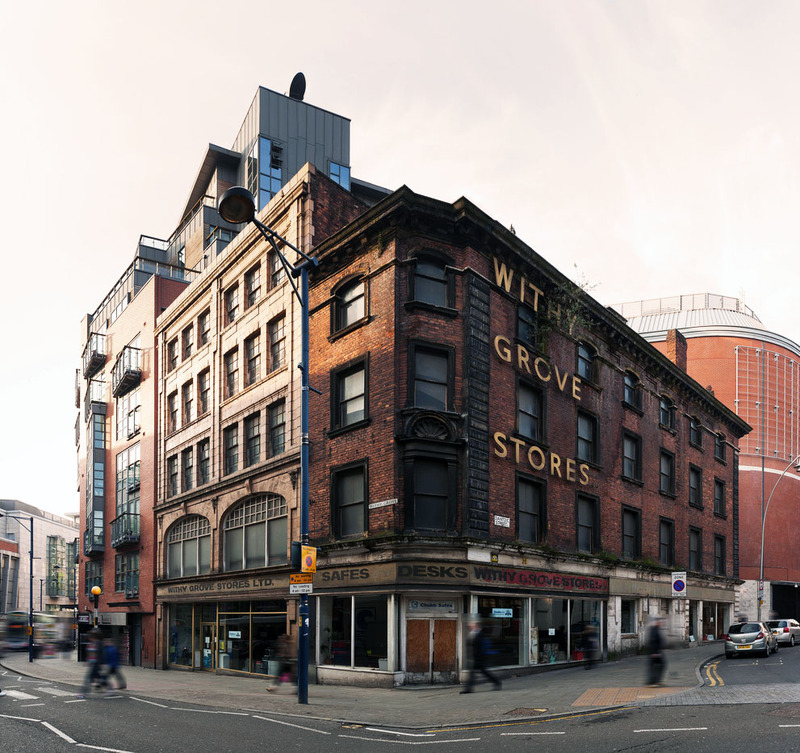 There is no date on the plate, although Withy Grove Stores has been in existence since 1850 and remains one of the very last remaining traditional businesses on Withy Grove within what is surprisingly – due to the amount of demolitions – still a conservation area. It suggests it is an earlier plate as the company is now known as Withy Grove Stores Limited. Withy Grove Stores Ltd, 33-35 Withy Grove. Image courtesy J. Shaw. The makers name plates were commonly throughout the 1800s and early 1900s the only indicator that the safes were made by different companies, as the majority of safes were often copies of other existing safes, with the majority of makers concentrated around the Midlands: West Bromwich, Wolverhamption and Birmingham. 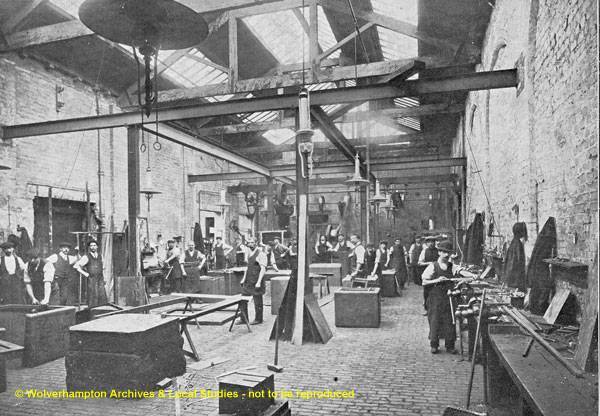 Famous makers such as Chubb & Sons Lock & Safe Company Limited, Stephen Cox & Sons and George Price of Wolverhampton all started trading in the Midlands. The details of the plate are: Withy Grove Stores, Manchester. Its has two countersunk screw holes for mounting. It measures 15.24cm x 7.62cm. John Lowe brass safe plate – front – circa 1896 – Manchester. Image courtesy J. Shaw. 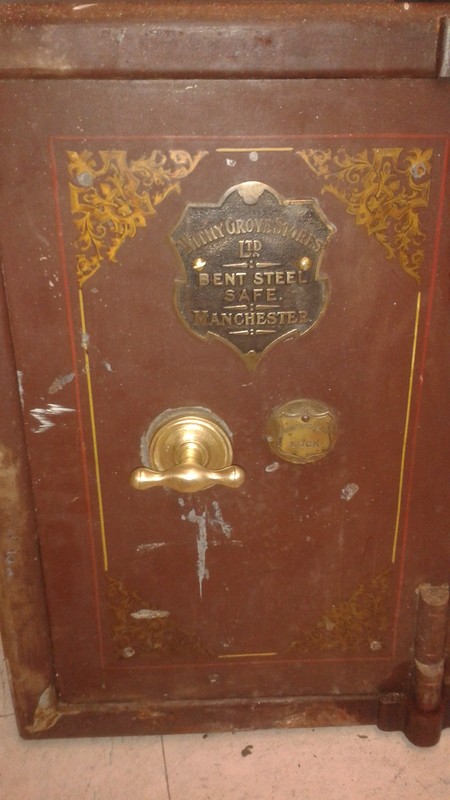 Withy Grove Stores Ltd Brass safe plate in situ. Image courtesy B. Kirk. This is a cast brass polished and lacquered Withy Grove Stores Ltd makers plate from around 1896. The cast brass plate would be attached to a classic bent steel safe, which typically would have a brass swinging keyhole cover and brass turning handle, sometimes in the form of a clenched fist with a rolled scroll, suggesting a legal standard. 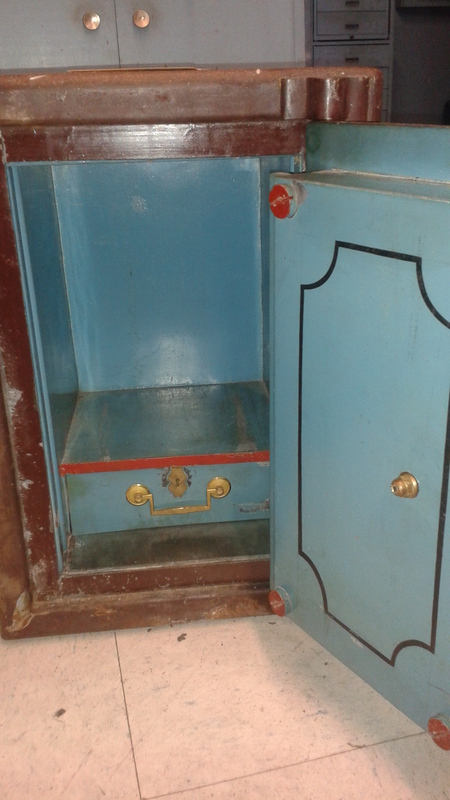 Withy Grove Stores Ltd safe interior. Image courtesy B. Kirk. There is no date on the plate, although Withy Grove Stores has been in existence since 1850 and remains one of the very last remaining traditional businesses on Withy Grove. 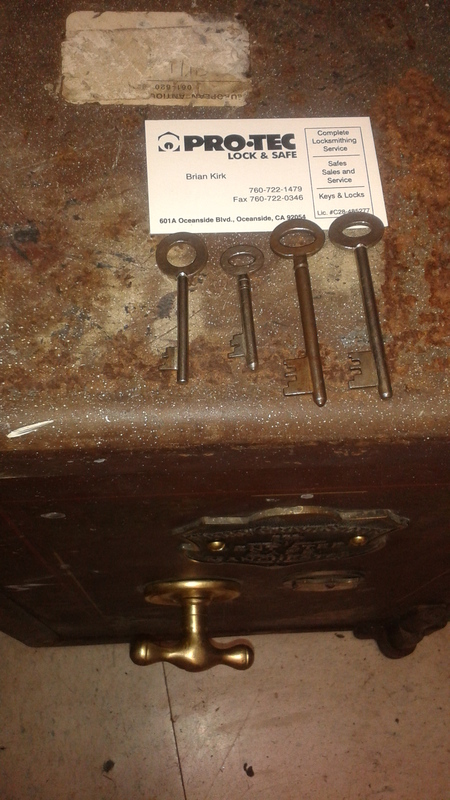 Withy Grove Stores Ltd safe keys. Image courtesy B. Kirk. 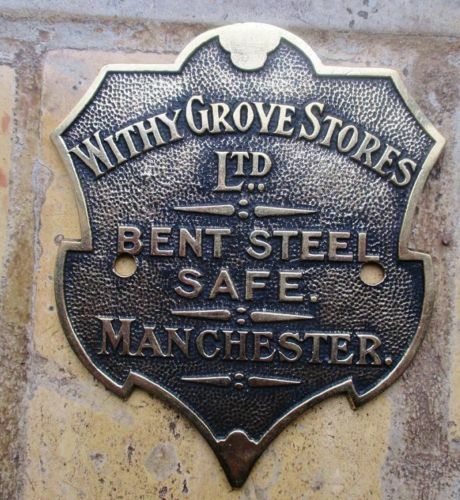 The details of the plate are: Withy Grove Stores Ltd, bent steel safe, Manchester. Its has two countersunk screw holes for mounting and has been polished and lacquered. It measures 14cm x 12cm and weighs 200g.